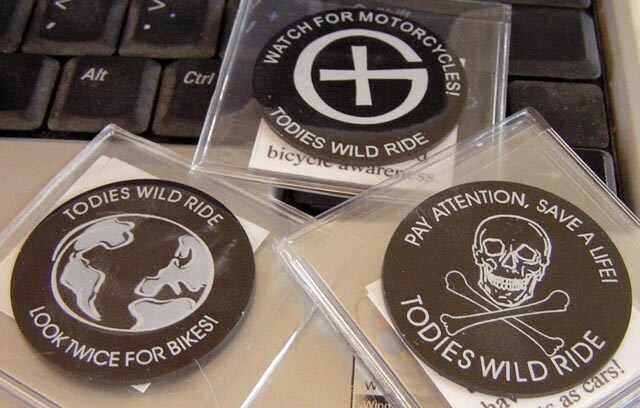 (TB30DNZ) GeoCoins.net Trackable Token Geocoin - Todie's Wild Ride II: Drive responsibly! Todie's Wild Ride II: Drive responsibly! Use TB30DNZ to reference this item. Gallery Images related to Todie's Wild Ride II: Drive responsibly! Hi guys! Found this in the cemetery- it wasn't into the geocache anymore (DNF "Neglect") and was completely caked in dirt and buried in tree leaves on the side of a hill. It's no longer missing! Yay! I'll rehome it in another cache soon. Hi Todie, we'll try to help you get a little further on your mission. You'll be happy to hear that those who do ride motorcycles in the Netherlands seem to do so very safely.